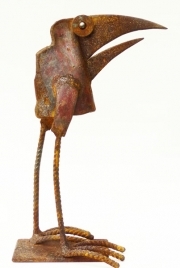 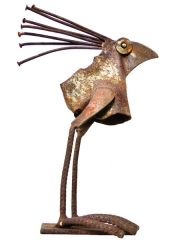 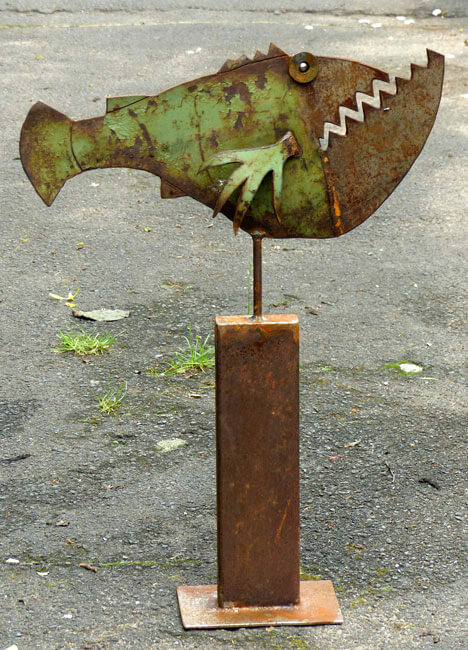 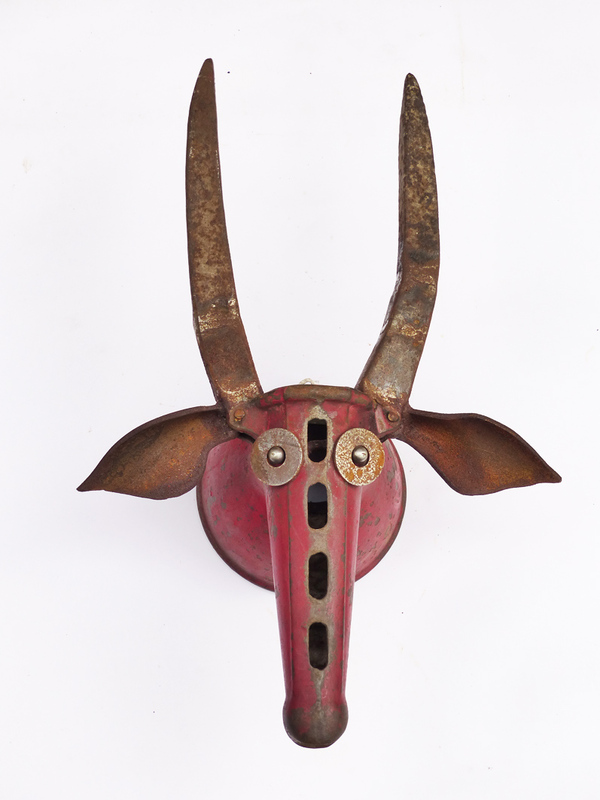 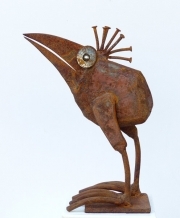 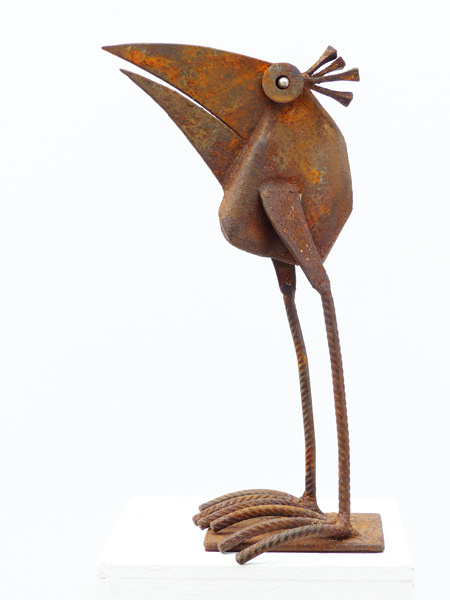 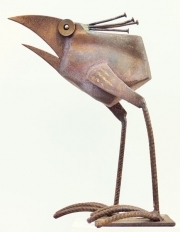 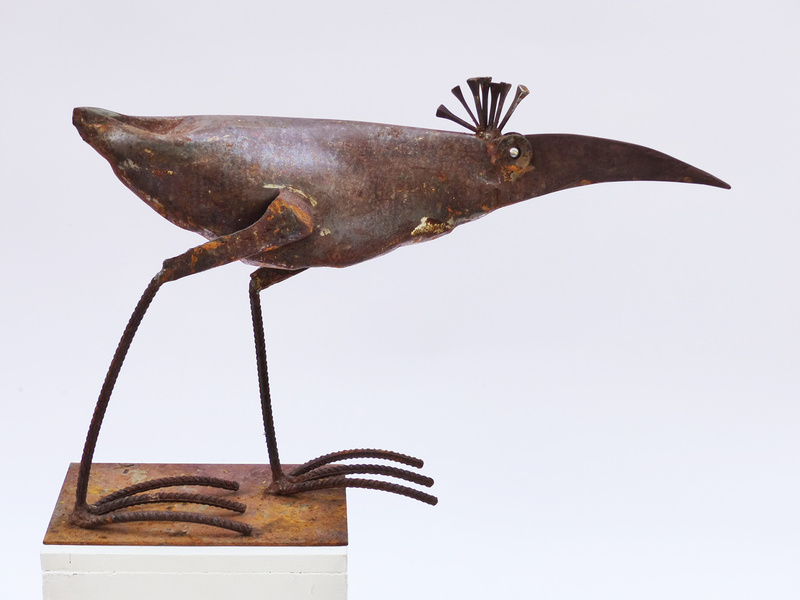 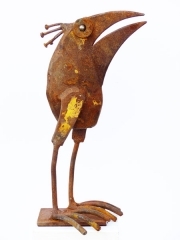 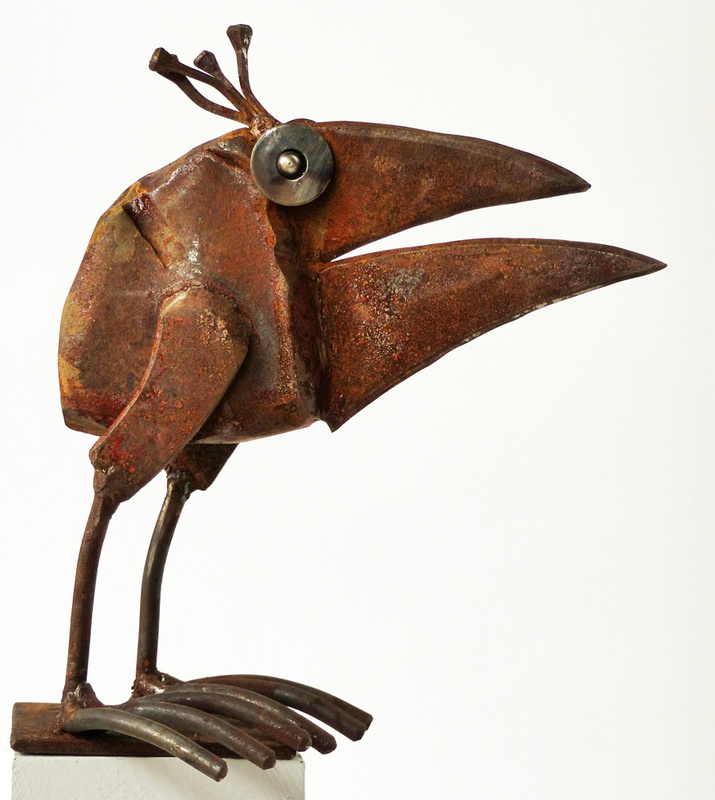 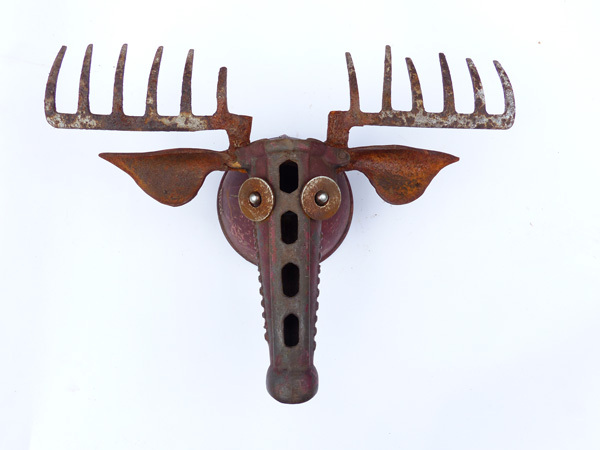 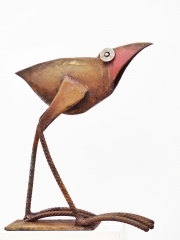 The birds, fishes and horned animals are made of scrap metal, as I find it in the junkyard. 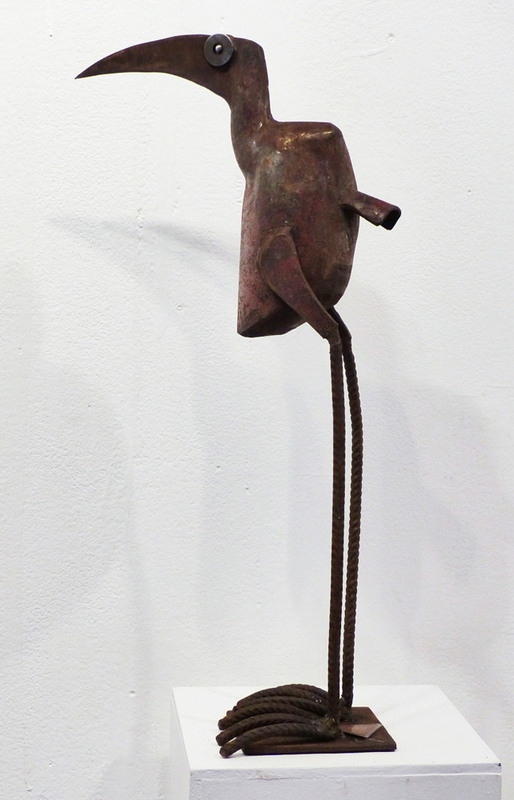 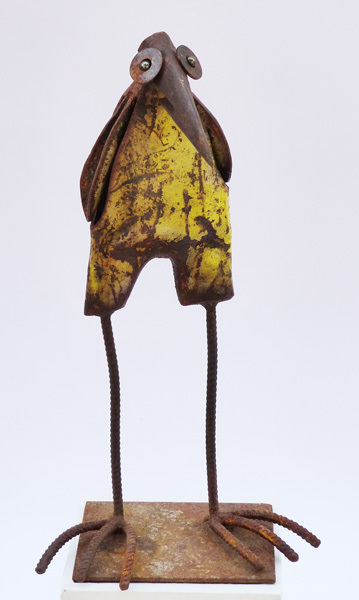 It is form and colour qualities that make the found objects interesting in connection with the artistic idea. 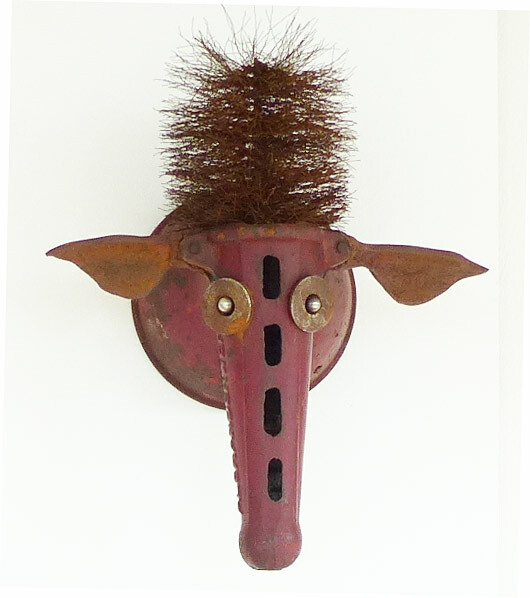 The work process is open and results in very direct work with the material, it is playful and the drawings are created on the scrap piece itself. Often I let myself be inspired by the material and its lines, edges and surface structures. The body-forming or central scrap pieces are sometimes left in their original shape, but more often they are reinforced by de- and reconstruction of their lines or depth is worked out. 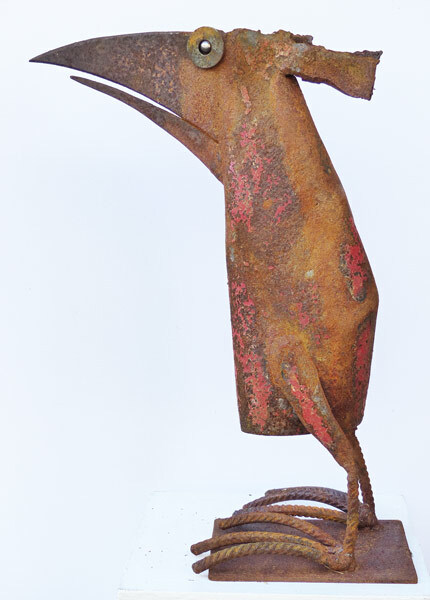 If welds are sanded more or less, the change can be traced or it creates the illusion of unity. 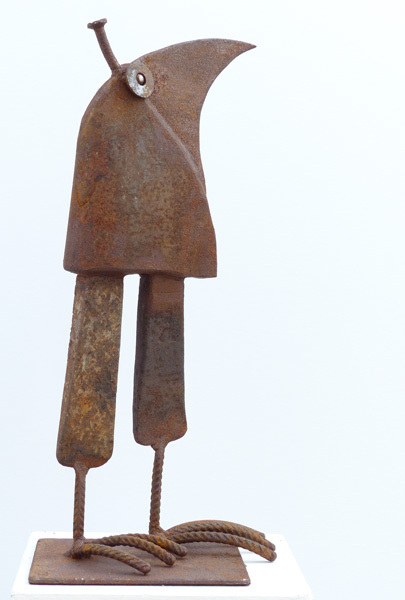 Thus, the authenticity of each individual part loses itself in the new context or is absorbed in the unity of the whole. 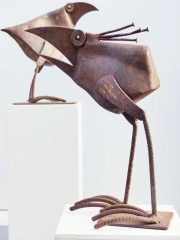 In their combination, the sculptures reveal a new, surprising character. This creates idiosyncratic and expressive beings. You can feel the pleasure of overdrawing, the freedom to give things space. The figures seem full of inner movement and liveliness. 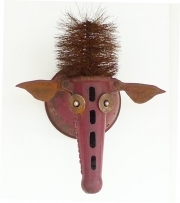 Many are character studies paired with a lovingly and subtly humorous look at the human being. The works arise spontaneously and without preparatory work or drawings. I often let myself be inspired by the material and its lines, edges and surface textures. 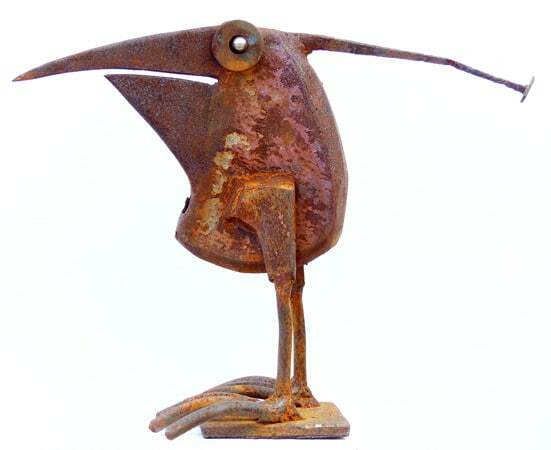 For the figures mainly steel scrap is used, sometimes antiquarian iron, rarely new material. 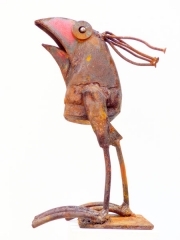 For welding a welding machine is used. In addition to the angle, a plasma cutter is used to cut the scrap metal. 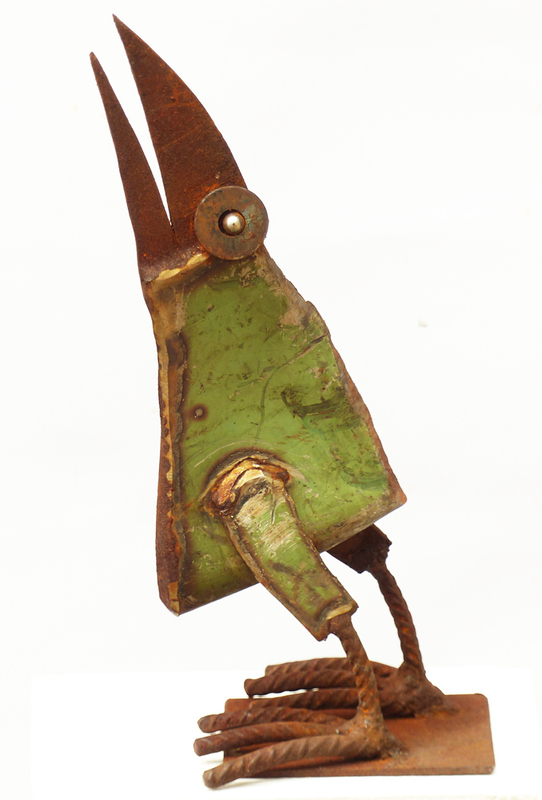 With this device, many ideas can almost be implemented like drawings and it allows a wider range of spatial design. The rusty surface mainly is not treated, so that the material with its many-coloured differentiated, natural rusty patina in all its beauty comes to shine. 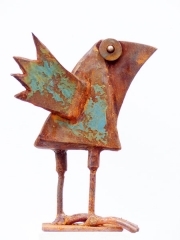 Only coloured parts are coated with metal clearcoat for colour deepening and preservation reasons. 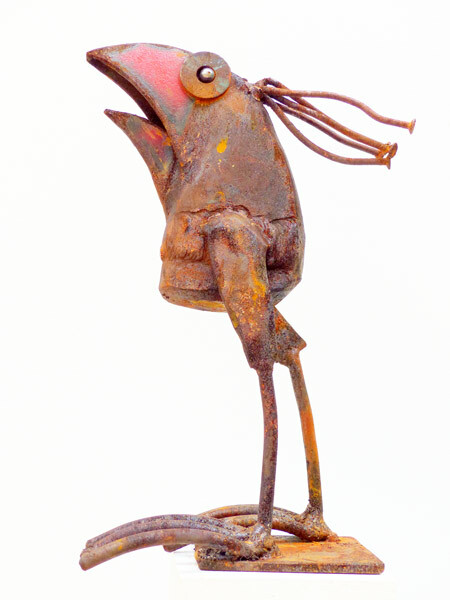 The colour in almost all cases is the original colour found in the junkyard, where many years and sometimes rather rough treatment have created lively and complex paint layers.